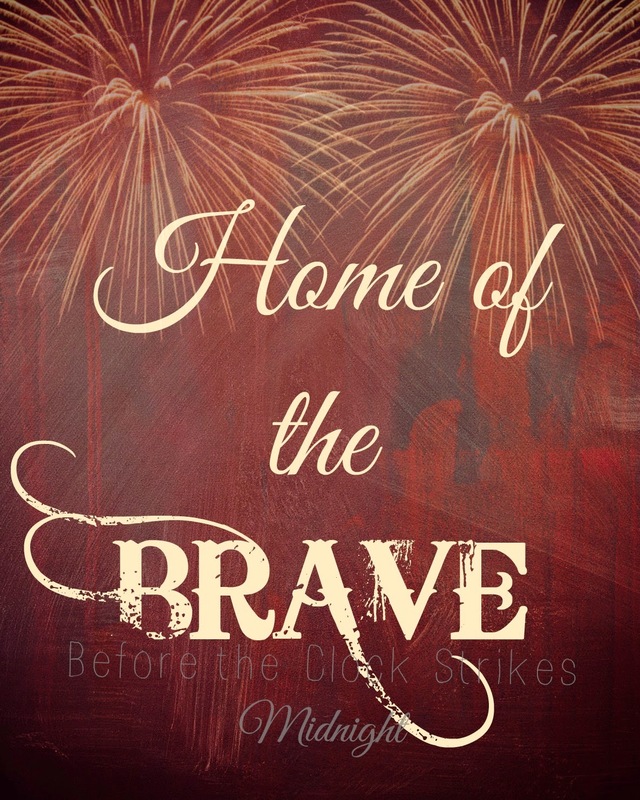 Click Here "Home of the Brave Printable"
Oooh this is pretty. I bet this would look awesome in a primitive kitchen. Thanks for sharing. Hello from the Weekend No Rules Blog Hop! Thanks Bernadyn! I'm following you on G+ now. Have a fun weekend! That is a great printable. You are indeed very lucky to be living in such an awesome country! I've just given your post a +1 on Google & am now following you. If you have a moment to spare I'd be so thrilled if you could share your post at my weekly Say G'Day Saturday linky. This would be such a fabulous addition! Hi thanks for the invite! 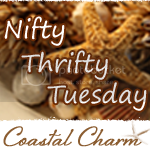 I will definitely share my post with your linky party. I also just started following you on G+. Have a great Sunday! Thanks so much for joining the Say G’Day Saturday Linky Party Tiffany. I’ve shared on Pinterest and will be featuring you at my Friday Favorites post! What great news to end the 4th of July celebration :) Thank you for featuring and sharing my printable! :) Hope you have a wonderful weekend. Thanks, I'm so glad you like it! I need to upgrade too- so I don't have to run to town everytime I need a good print :) Thanks for visiting! Hi Anna! Thanks for visiting! I'm glad you like both the website and my printable. I just started following your social media accounts :) Looking forward to reading your posts too! Happy 4th of July tomorrow!